Shortcodes in WordPress allow you to add various functionality into posts, pages, and widgets without actually writing any code. Hence the name, Shortcode. Many WordPress plugins and some themes use shortcodes to add different elements such as pricing grid, event calendar, etc into WordPress. In this article, we will share 7 essential tips for using shortcodes in WordPress. What are Shortcodes in WordPress? Any content added in a WordPress site goes through some security checks and filters. These security checks and filters make sure that no malicious code goes into posts, pages, comments, etc. This means you can’t directly write code in these areas. On the other hand, sometimes you just need to add code in these areas. Shortcodes provide a way to do that. Shortcodes make it easier to add other elements into WordPress posts. For example, you can add a beautiful responsive slider using a simple shortcode. You can create a complex survey form in WordPress without writing a single line of code. Having said that, lets take a look at some tips for using shortcodes in WordPress. Shortcodes are great, but using shortcodes in every post is not a great idea. There are many WordPress themes out there that proudly claim to have 200+ shortcodes. However if you use a shortcode in every post, then you are forever tied to the specific theme that’s providing the shortcode. If you’re using a theme specific shortcode to create call-to-action buttons inside your posts or pages, then you should look at using our guide on how to add CSS buttons in WordPress without using shortcodes. If you’re using finding yourself adding the shortcode in every theme to add the same element such as a banner ad or signature text at the end of your post, then you may want to use a plugin or hire a developer to code that directly into your theme. This will make it easier to style that element and easily remove it should you decide to do that. Remember, if you use a shortcode in every post and later want to remove it, then you will have to edit all the posts to manually remove it. Although there is an easier way that we will show you later in this article. Shortcodes are great, but if it’s provided by your theme, then you may want to think twice about excessively using it. Why? Because if you change your theme, then your next theme most likely will not have the same shortcode. The best way to prevent that is adding your in a site-specific plugin. Simply copy and paste the shortcode snippet from your theme’s functions.php file, and then paste it in your site-specific plugin. In order to future proof your shortcode, you must know what the shortcode function looks like and how to find it in your theme. You want to look inside the functions.php file or if the theme has an includes folder, then inside there. Open the files and search for the term add_shortcode. Useful guide: how to create a shortcode in WordPress. Often users think that shortcodes are limited to posts and pages, but they are not. You can use it inside your WordPress text widgets. Simply drag and drop a text widget to your sidebar and add your shortcode inside it. Remember, this feature is not enabled by default in WordPress. In case you can’t see your shortcode in a widget, then you need to add this code in your theme’s functions.php file or a site-specific plugin. If for some reason, you find a need to output the shortcode inside a non-widget area of your theme, then you can use your shortcodes there as well. Often users change their themes without realizing that their old shortcodes will not work. Sometimes, they find out after months when a user visits their old post to find odd text there. Well, you have two ways to fix it. You can either manually go and remove the shortcode from every post, or you can simply hide the broken shortcode. All you need to do is add the following code in your theme’s functions.php file or a site-specific plugin. This code adds back the orphan shortcode with no output. Don’t forget to replace shortcodetag with your shortcode name. In case you don’t want to use the hack in Tip 6, and rather want to remove all shortcodes manually, then the first step is to find all posts that are using the shortcode. You can use this code in your theme’s functions.php file or a site-specific plugin to do the hard work for you. This code simply creates a shortcode called shortcodefinder. It runs a WordPress query and lists posts with a given shortcode tag. For example, if you wanted to find all posts containing shortcode [contact-form] then you would simply enter [shortcodefinder find=’contact-form’] in a WordPress page and save it. Now if you preview the page you will be able to see all the posts containing the shortcode. For more detailed instructions checkout our guide on how to find and hide unused shortcodes in WordPress. Bonus Tip: Which Shortcodes Can I Use right Now? Often users don’t know which shortcodes are available to them. 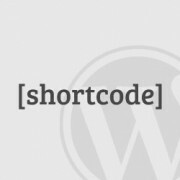 The shortcode reference plugin provides a list and details about available shortcodes in your WordPress site. We hope these tips helped you learn how to use shortcodes and make the most out of them in WordPress like a pro. the social icons in this article, at the end of the post, are they added by a plugin (what plugin) or hard coded? how can i add them to my own posts? It is custom code written specifically for this website. You can try one of these social media plugins to replicate the same look on your website. I have been trying to use shortcodes, particularly Latex shortcodes in the quiz section of the LMS I am using, all to no avail. The shortcodes are not passed. I have contacted the LMS providers but they are not coming up with any solution, at least, not yet. Is there anything I can do? Is it safe to apply multiple shortcodes to the same page in the same section? I wish to learn WordPress Theme Development , So I think that the site is very helpful for me. I want to put my shortcode in html hyper link in button or something. Please see our guide on how to add a shortcode in WordPress. Hello, I have a question about shortcodes. As I am running a WordPress website that is based on Online Practice Test / Quizzes. To provide these quizzes I am using a plugin and in that plugin I have to add the questions and answers for a quiz. After that I have to put that shortcode in the post. then in SEO Title and Description by All in One SEO plugin. So my question is, using the only shortcode in all post is safe from the SEO and Google webmasters Guideline point of view ? Yes, it is totally safe. The shortcode never appears in the HTML of your website. Like any other PHP funtion, your shortcode is processed by the server and returns the HTML output which is then displayed on your post/page. There is a way to delete a specific shortcode, maintaining the text inside? For example: in this case [dropcap]A[/dropcap] I would like to eliminate the shortcode maintaining the “A”, or any other letter inside. Don’t overuse short codes for important text elements if it compromises search engine returns. actual TEXT associated with that post. is [Grid 123]. I edit the gallery in the plug-in setting. important and I need it to be crawled? the information apart or separate from your post. Hi! Nice post! Please how can i make a shortcode to print an image? this is incomplete question. please specify where and which image you want to use. what context you are talking about . ?